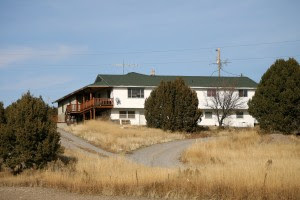 The National Center for Constitutional Studies is housed in this sprawling farmhouse located about halfway between Sweetzer Summit near Malta and Snowville, Utah. 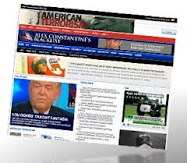 Publications from the center have recently grown in demand thanks to the approval of political talk-show personality Glenn Beck. (MEAGAN THOMPSON/Times-News). Malta may have found its Oprah - and his name is Glenn Beck. While some residents of southern Idaho aren't even aware of the Cassia County town, people all over the world, including Chinese university students, are receiving books on American history and copies of the U.S. Constitution shipped from a remote farmhouse in Malta. The farm, which houses and ships thousands of books stacked on pallets in machine shops, is actually the National Center for Constitutional Studies (NCCS) - which began in 1972 as the Freemen Institute. The popularity of Glenn Beck - radio talk-show personality, author, Fox News Channel host - and his enthusiasm for books written by the foundation's founder, W. Cleon Skousen, has propelled NCCS into, if not the national spotlight, at least national demand. Foundation books and pocket copies of the Constitution are printed outside of Malta, but NCCS is the publisher. And nearly all of them - sometimes as many as 20,000 books per month - are shipped from the farmhouse. Some of them go to individual customers. Others are donated to schools. Many are sold in bulk to groups such as "Tea Party" organizers. Tea parties, based on the 1773 Boston Tea Party, are organized protests against big government and socialism. The largest events so far took place on April 15 and July 4. But NCCS is a nonprofit educational foundation. It doesn't appear that anyone is getting rich from book sales. According to 2008 tax forms, the organization's total revenue was $197,205. The foundation's headquarters can be found in a nondescript, albeit large, farmhouse about halfway between Sweetzer Summit and Snowville, Utah, near the border of Cassia and Oneida counties. CEO Zeldon Nelson, along with his wife and another employee who maintains the Web site, run the day-to-day operations. But recently, especially during preparations for the tea party wave last spring, they brought in volunteers from various towns in Utah and Idaho. "We had orders from all over the nation, and we were overwhelmed. They came from all over to help us. We had people from age 3 to 93 helping out," Nelson said, estimating that the organization has published 3 million copies of the Constitution. "We're trying to articulate the principles of the Constitution, but we're not trying to take some current point of view. We're trying to present the principles from the Founders' point of view," Nelson said. Last year, he said, NCCS spent $250,000 to $300,000 to distribute copies of a DVD documentary, "A More Perfect Union." "We're just trying to be a resource for anybody who wants to learn about our form of government," Nelson said. Nelson said books and Constitution copies are regularly sent to Afghanistan, Iraq, Germany, China, Russia, Romania and Japan, and public schools across the U.S. Most income, he said, goes back into publishing expenses and donating materials to educational entities. It also funds lectures and seminars conducted by NCCS President Earl Taylor Jr., a teacher in Mesa, Ariz.
"Do you know that our Founding Fathers had answers to nearly every problem that exists in America today?" Taylor has said. "That's a big statement. This is the mission of NCCS - to reacquaint Americans with the Founders' message. It is a positive message. When you hear it, it will put fire in your bones," he said. Skousen, who died in 2006 at 92, used to conduct similar seminars in Idaho and Utah. He was a prolific writer (including his 1956 national bestseller "The Naked Communist"), speaker and Brigham Young University professor. His public service comprised stints as an FBI agent and Salt Lake City police chief - though some of his published works aroused controversy. A devout Mormon, Skousen wrote end-of-the-world prophecies, LDS-inspired books on scripture, a treatise on how to raise boys, and various anti-communism analyses. A recent Salon.com article recounts a 1980s issue that erupted when California legislators approved the official use of Skousen's history book "The Making of America" in which he refers to black children as "pickaninnies" and characterized most slaves en route from Africa as "a cheerful lot." According to his biography on Skousen2000.com, he worked closely with J. Edgar Hoover during his 16 years with the FBI. But the Salon article claims his work was merely "clerical." He was fired as Salt Lake police chief in 1960 after raiding one of the mayor's poker games. Skousen was a strong supporter of the John Birch Society, a right-wing organization that was prominent in the 1960s. One of the group's biggest defenders was former Secretary of Agriculture and Idaho native Ezra T. Benson, who later became LDS church president. In the early '60s, the society even alleged President Eisenhower had colluded with communists. Burley resident John Walsh, a former organized crime and undercover narcotics agent with the Idaho Attorney General's Office, recalls seminars conducted by Skousen and the Freemen Institute at the Albion Normal School around 1972. "They were all Birchers, John Birch Society members," Walsh said. "At one time, the state had me and another agent go to Albion and wander around just to check things out. 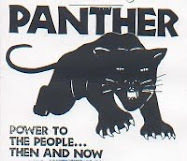 There were rumors of a subversive group. We never found anything like that. ... It seemed to be a pretty good combination of religion and politics." Walsh called Skousen's work "a distortion of history," adding that members were mostly interested in the Constitution and stopping what they saw as the country's drift toward communism. The group was frequently associated with former Idaho Congressman George Hansen. "I thought all of that stuff had gone out of style, but apparently, it hasn't," Walsh said. "Maybe the Glenn-Beckers are caught up in a lot of socialist paranoia because the Democrats are in power." Adrian Arp, of Twin Falls, attended Freemen Institute seminars at Robert Stuart Junior High School in the 1970s. He recalled some of Skousen's lessons, including discussions of "baptism by fire," referring to the ratification of the Constitution, and a study guide called "Miracle of America." "The way he taught, you filled in the blanks," Arp said. "He was a teacher, and his method was very good." Arp has been a member of the John Birch Society since 1968 and defended the organization against its detractors. "We just want the Constitution restored to the principles of the Founding Fathers," he said. "I think the John Birch Society is middle-of-the-road - we believe in limited, constitutional government." Beck, a former alcoholic and drug addict, converted to Mormonism in 1999, and in the years since has praised the writings of Skousen. Often seen scrawling political theories on a chalkboard, Beck can be conspiratorial-minded and openly emotional - occasionally shedding tears while criticizing President Obama's administration. One of Beck's most noted emotional displays happened this year when he announced the 9/12 Project - a vague but passionate attempt to revive the patriotism most Americans experienced the day after the Islamic terrorist attacks of Sept. 11, 2001. During and after the tear-riddled announcement, Beck routinely implored his followers to buy copies of Skousen's book "The 5,000 Year Leap" - pushing the book into Amazon.com's bestseller lists this year. Beck has often said the book made him realize that America's founders were divinely guided. Curiously, the NCCS-published edition of the book does not include the author's name on the cover, though it can be found in small print on the spine. "The 5,000 Year Leap," aside from some anachronisms and heavy reliance on divinity, is generally academic. It does include some non-conventional phrases - such as, when referring to unalienable rights not mentioned in the Declaration of Independence, "the right to beget one's kind." Beck's current comments about the book on his Web site are far less effusive than his devotional praise in other venues. The description on Glennbeck.com reads: "All about the philosophies of the founders of our government and why this country needs to be a virtuous country." Beck writes: "Amen to that. One of those books that you pick up and read a chapter here and there." A recent New York Times article calls him "the new Oprah," referring to Beck's promotion of thriller novels. The article quotes author Brad Thor as saying, "He's our Oprah ... God love him." That influence on the publishing industry extends well into Idaho, where Beck has frequently visited and performed. He's also mentioned a desire to move to the Gem State. "He has a big following around here. I talk to people quite a lot and his name always comes up," Walsh said. "Anything he says, it's like scripture to them." Nelson said he's had several conversations with Beck recently but wouldn't discuss any future plans for the foundation. He did, however, emphasize that Beck doesn't receive any money from the Skousen books that he promotes. "He's truly interested in helping America," Nelson said. "Most of our sales right now are coming from study groups around the country, though." Nelson carefully avoided politics and said NCCS is motivated by the desire to educate people about the founding of America and the original intent of the Constitution, rather than case-law interpretations of the document. "The fact that this is all happening right here in our own area and is helping the nation is significant. We feel honored," Nelson said. "The address on those Constitutions is Malta. People ought to be asking themselves, ‘What is it about Malta, Idaho?'" Former DEA Agent's Lawsuit Exposes CIA "Fraud"